Do you run, just to run? Does anyone run, just to run? Or is everyone training for a race? I just run. I do run some 5ks but just for the fellowship. Don’t really train to get faster. I’m training for a race. I do run just to run, and I ran for the heck of it all winter. But I love races, so I had to get some in when running season started. No races for me. Been running for a year and a half and I have done one 5k. I just like to get out there and run. I just run. No time or dollars in the budget for race fees right now. I run because I love it I have been running for 12 years but I do like racing! For me it’s both. I run just to run, I never check my time or anything, but I am training specifically to run the Chicago Marathon and the Marine Corps Marathon back-to-back next year. I’m sure it’s much cheaper running without all the races. But I can’t help myself….. I see I race and I have to sign up! I run just for the hell of it. But I love racing so when they come around I sign up. Sure officially I’m training for something but it doesn’t feel like a chore, I want to do the runs. I run just to have time to myself and think. It’s my “me” time. I keep saying I will register for a race. Run for my sanity and “me time”. Racing stresses me out. Run to just run. Free therapy session!!! I do races but they are not the reason I run. I run for my mental health, to get back in shape, to chase my girls around on their bikes during family fun time, and to make me a better me…every now and then I will do a race, but do have a goal of being able to run an entire 5K for colon cancer awareness in September, in honor of my late son. I don’t focus on time though in terms of racing, I just want to finish. I do focus on time in terms of my personal improvements. I like to chase people. Running let’s me do this and I stay out of jail. I just run. I run races for tshirts. I run just for me. I will do an occasional race. I run just for myself. It gives me a break from being the mom of three kids, volunteer, coach, etc! I run just to run and to feel the wind through my ear hair. When I run it’s just to run. I never “train” for my races. Usually if a race looks cool il just sign up and do it that day. I do a race here and there, but mostly just run to run. I run just to run. This is the 4th season for my sister and I. We have always been active and I have been a walker for years. “A body in motion”stays in motion train of thought. We do enter races when we can. I just run to run. My only race is an inner race. Will I run or will I not run!?? I do fun runs like mud runs, run or dye. I enjoy running just to run. I also like the challenges involved with race training. I run just to run, I run in races as well but not a lot. I run every other day! It use to be everyday but I stopped doing that. I love running! I run for myself. This year I have just made it a part of my day and it helps me stay healthy.I have committed to running goals for myself to keep me motivated and will work up to participating in a marathon, but I run anyway whether or not a race is coming up. I run just to run and to keep healthy because I love good food. Never raced and no plans to! Just like to run. I run races…but, I would not call what I do when I am not running races training. I just run as much as I can. I run just to run. Can’t afford the races. 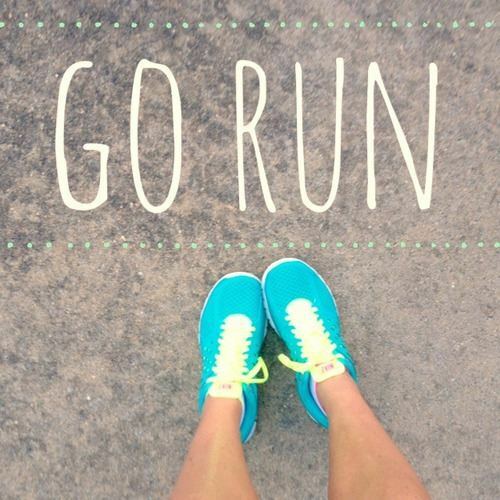 I run because I refuse to be scared. Long story. I’m 47 and I can so I do it, although not as actively as most on this page. But it does feel like for once, I’m doing something for myself now that my kids are grown up. The 5Ks are the extra challenge on the cake. Im not even at 10 minute mile, but it’s enjoyable. Do it for you. I actually like running better when I’m not training for a race. I don’t feel the pressure to run a certain distance or a certain pace! I run just to run. It’s my stress outlet, my relaxation, my “me” time, and I can eat sweets from time to time bc I run. I’ve done two races. Love them and plan to do more, but I run for me. I run only to run. I do races but I dont compete. I just do them for the bling and to finish. I am one of those people who need external deadlines to go out and run consistently so I do race. However I have the utmost respect for those who just run for love. I am training for a race, but I race to ensure that I will run. After this years 5 halfs, I plan on taking a 4 year hiatus from races and training for Boston 2019. So no more races planned for me after this year. My race is to meet my grandchildren’s grandchildren so it’s a long term training goal. I just ran. I try to do a long one on the weekend with my running buddy. 6 miles in at 9am… Wasn’t feeling it at first, but I got it done! Yes… I run just to run… because I love how it makes me feel… and I race just to race… same reason !!! It’s the only time I have to be by myself, but I have enjoyed the races I’ve done so far. Working towards those goals are empowering! I try to always be training for a race because it’s easy to stay on schedule. Otherwise, I’m afraid it would be too easy for me to take days off. I run for the love of running and yes I do races too!! Both! Running to run is great. But races are so much fun and give me something to run for. I’m in it to win it, but I also have always enjoyed running for running sake:) I used to be a soccer player throughout school. I haven’t always raced. I run just to run. Right now my longs are 10 miles. Want to build to 15 and stay there. No races planned in the near future. I run just to run, but having races helps motivate me. However, I have no illusions about winning a race or anything like that. I do races for the fun and motivation. Training for a marathon! I only run to just run over the winter. Run for enjoyment, running races is a side benefit. I run to run, I am a board member for our running club, so do all the races, but they are basically just training runs for me! My brother has no interest in racing. He doesn’t time himself or map his runs, he just runs. I used to do that & I think I enjoyed it a little more. Trying to get back into that type of running myself. Haven’t done a race since November & had to take a break due to injury. Races keep me focused, otherwise I drift off course. I run just to run but I’ve ran races before. I run just to run, and then I will occasionally do a race – 1 or 2 a month. I did the training thing for years. Now I just want to have fun and exercise. I thought I was running just to run. Turns out I was training for a half and didn’t know it. Run to just run. Love it. I run just to run. It’s easy to just go outside and get in a few miles and just enjoy the alone time or the sunrise/sunset. This entry was posted in Question and Answers by Runners, Running Motivation. Bookmark the permalink. My Running Journey – I’ve become a runner. Does running with music make a difference?